My youngest daughter is complaining that she can’t go to kindergarten just yet. Why, you wonder? Well, she seems to be worried that she can’t write (well). I smile because I know she can (age-appropriately) and I smile because I know she is a perfectionist…much like me. Learning to write is a complicated process. First, one needs a basic understanding of the alphabet…and then one must have the knowledge that letters represent sounds and sounds make words. Of course, forming all of those words is another task–one needs to know the correct order in which to put all of those letters in to make a word. Argh!! If you feel discouraged, bear with me. I will give you some tips and ideas for helping your child–apraxia, or no–develop some skills for handwriting. It may be fun to start out with some large motor movements of the arms. (That’s because gross motor is typically developed before fine motor, e.g. handwriting). So, do some big arm circles, flap ’em like a bird, and have fun. Your child will be none the wiser. Some experts recommend starting with an up-and-down writing surface such as an easel or whiteboard/chalkboard. It all has to do with developing those large trunk muscles, arms, etc. Later, you can introduce flat, tabletop style of writing. Allow your children to experiement with fine motor control–fidget toys, small toys like Polly Pockets, Transformers, Legos, Wikki Sticks or Bendaroos all do the job of developing those fine motor skills necessary for handwriting. Next week, we will talk about other things you can do at home–as well as why writing with CAS is more challenging. 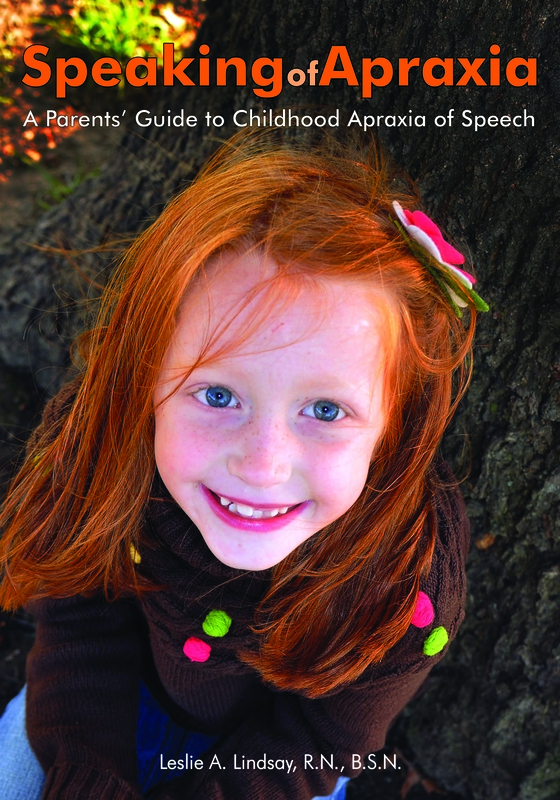 More tips and ideas on handwriting with apraxia can be found in “Speaking of Apraxia: A Parent’s Guide to Childhood Apraxia of Speech” (Woodbine House, March 2012), available through Woodbine House, Amazon, and B&N.